For those who maintain cars or motor cycles or those in the building maintenance business, buffers and polishers are indispensable equipment. They are used to maintain the gloss of the paint for long and keep the floors of buildings spick and span and shining all the time. Buffers and polishers eliminate small deficiencies such as “scratches and dings” and wipe them out completely, besides polishing the existing finish in the region of deficiencies in such a way that the scratches and other defects are barely noticeable. Buffering and polishing equipment are normally run along the floors after applying wax like solution to make the surface appear bright and gleaming. A floor buffing and polishing equipment normally consists of two big spinning heads at the bottom, provided with a shaft, handles and controls meant for the user to move it forward along the length of the floor. A small motor powers the rotating pads and the user presses it down to get a bright glossy polish on the floor. A wax solution is normally applied on the surface and left it as it is for some time for drying before it is buffed and polished. After this, if the machine is run, it will produce a beautiful finish. Buffing and polishing equipment are also known as “‘rotary floor machines”. The rotary heads will turn at different speeds depending upon how intense one needs to rub the floor. Lower speeds are necessary to remove stubborn stains, scars and dirt. Lower speeds are also required if the exiting polish is to be removed so that one can apply a fresh polish. Higher speeds are needed for polishing or cleaning hardwood floors. The head for floor buffing and polishing equipment is capable of turning around 100 to 400 revolutions per minute. Most of the floor polishers need regular electricity from the mains to run, though a few industrial models can be operated with the help of batteries or propane canisters. Plug-in models ensure steady supply of electricity. The battery and gas models are ideal for pollution-free clean energy buildings and for clearing dirt from distant corners in a building. The floor buffer and polisher equipment cost anywhere between a few hundred dollars and thousand dollars. Car and motor vehicle buffer and polisher machines are almost similar to floor polishing equipment, though there are certain major differences between the two. Car and motor cycle paint buffer and polisher have only one rotating head that spins at varying speeds. Only hand tools are used for paint finish before buffing and polishing. Buffing and polishing machines are equipped with automatic as well as manual drives. In automatic drive, a computer controlled system will determine the precise speed required for the job. These adjustments can also be done manually. These equipment are available in various sizes based on the diameter of the wheel and include three inch, four inch and six inch diameter machines. The user of the equipment will exert pressure depending upon the requirements. 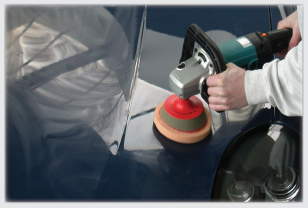 A buffer and polisher equipment can remove scratches, rust, stains and dirt from the paint easily. Costlier implements are provided with a “computer controlled feedback” device that automatically regulates the speed of the wheel based on the extent of pressure exerted. These equipment can be plugged into the electrical sockets on the wall. The head of automatic equipment spins at varying speeds between 1000 and 8000 revolutions per minute. The prices of a car or motor cycle buffer and polisher equipment vary from forty dollars to over one hundred dollars depending upon its quality and features. The benefits of polishing far exceed those of just waxing. While one works best with the other, polishes remain the work horse in the overall maintenance of the paintwork by removing aged paint, restoring depth and gloss and reducing or removing the appearance of surface defects such as surface scratches and the dreaded swirl mark. It also creates the ideal surface for a coat of wax.A complete car care schedule including car wash, waxing, and car polish can bring back the shine of your car.